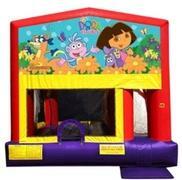 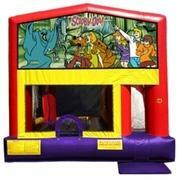 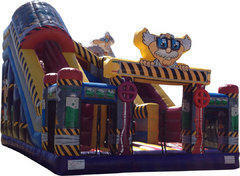 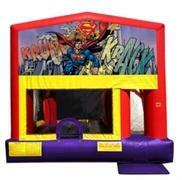 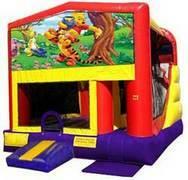 All of our Combo Bouncer Rentals come equipped with an entrance ramp (safety step) even if not pictured. 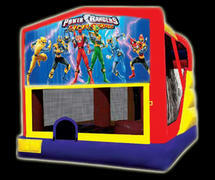 ALL OF THE 4-in-1 COMBOS ARE 20'L x 16'W x 15'H. 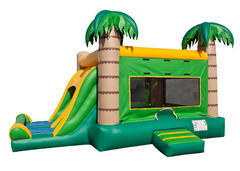 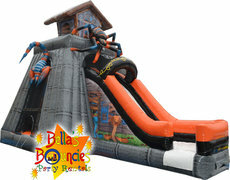 The 4-in-1 combos offer a generous jumping area, basketball hoop, climb and slide. Balls are not included. 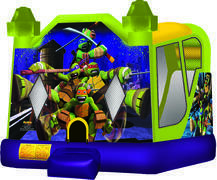 Some of the pictures appear to show an opening on the right, which does not exist. 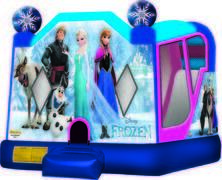 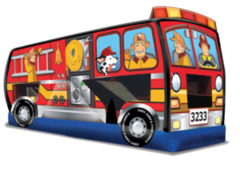 Our units all have the newest design with one opening in the center and closed off by the slide exit for safety purposes. 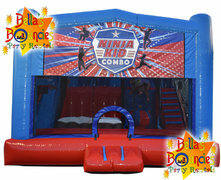 ALL OF THE C7 7-in-1 COMBOS ARE 22'L x 19'W x 15'H. 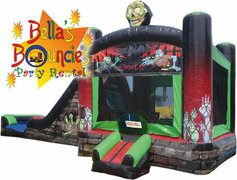 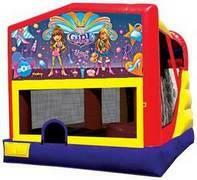 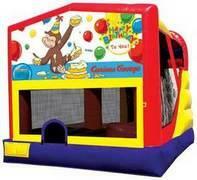 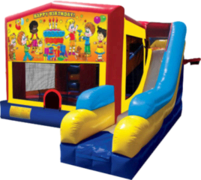 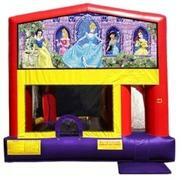 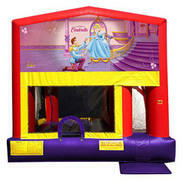 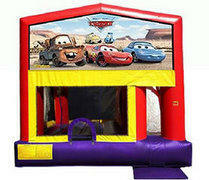 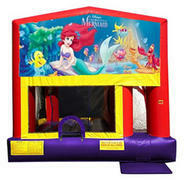 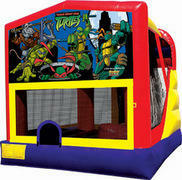 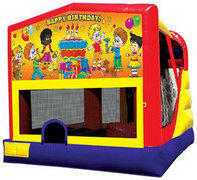 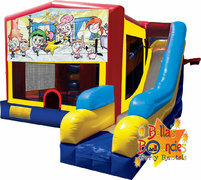 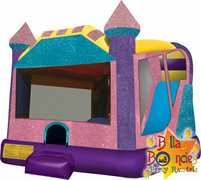 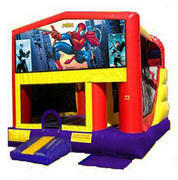 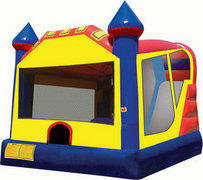 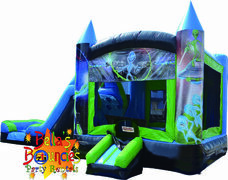 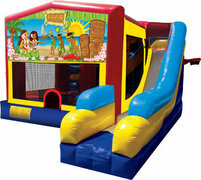 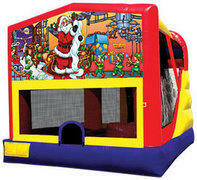 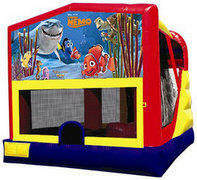 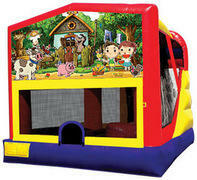 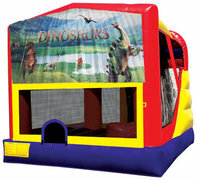 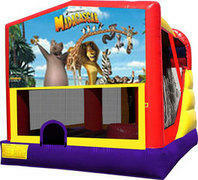 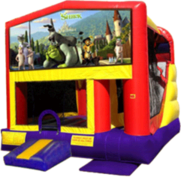 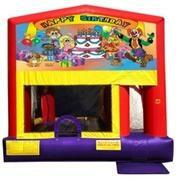 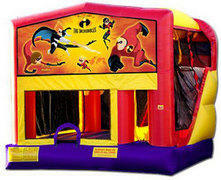 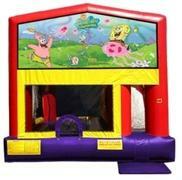 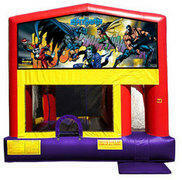 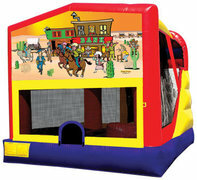 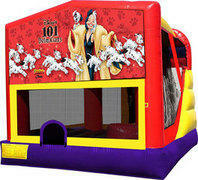 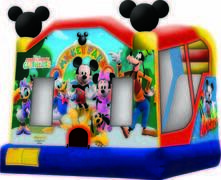 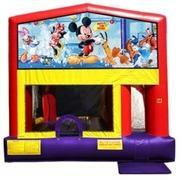 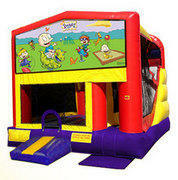 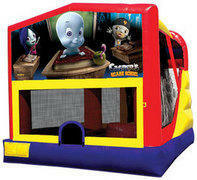 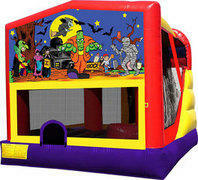 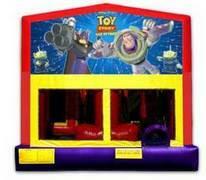 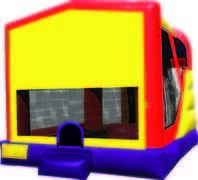 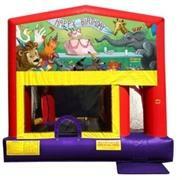 This 7-in-1 combo bounce house offers a large bouncing area with basketball hoop, obstacle activities, climbing and slide. 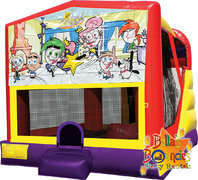 An additional basketball hoop is located on the outside of the unit for even more fun. 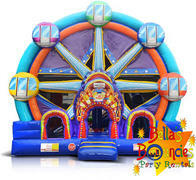 Prices below are for 6-8 hour rentals. 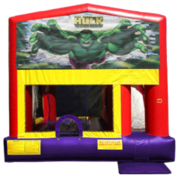 Additional information on rental times, as well as, other policies can be found on our FAQ's page. Delivery rates may apply. 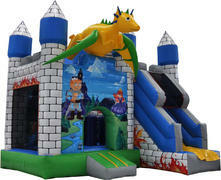 Check our Service Areas for a list of cities and delivery fees.